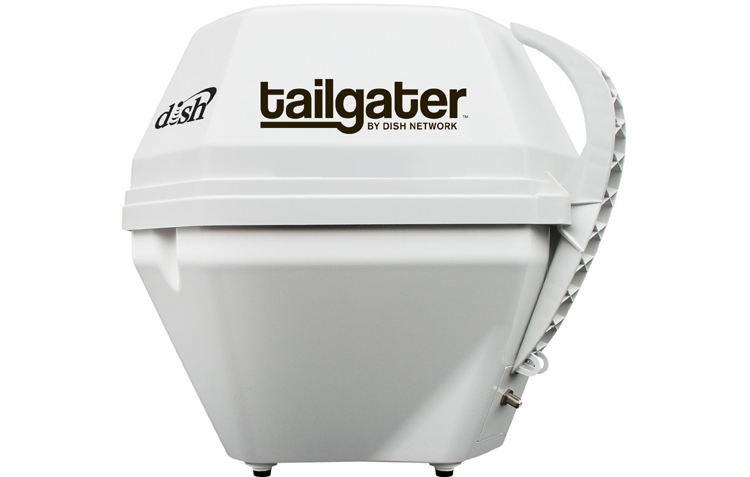 Designed for camping in the great outdoors or entertaining guests while tailgating, Dish Network announced the release of the Tailgaiter, a mobile satellite television antenna that’s compatible with Dish Network service. Weighing in at 10 pounds, the satellite antenna is encased in a 10-sided plastic shell with a handle for lugging around the device. The shell is designed to protect the antenna in poor weather conditions and allows the dish to rotate within the casing to align with the satellite. 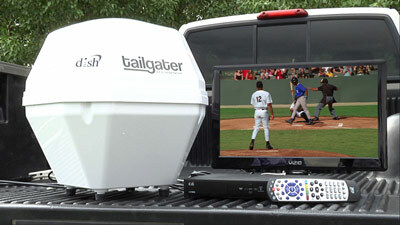 The Tailgater portable antenna also requires a Model ViP 211k HD Solo receiver to pick up high definition stations. The Tailgaiter comes with 50-feet of coaxial cable to reach the television housed in the recreational vehicle or any compatible transport and the device requires a 110-volt power connection to run correctly. When powered up, users simply select the state that the vehicle is parked in and the Tailgater automatically searches for the strongest signal. Pop-up warnings appear on the screen when the satellite antenna starts to lose signal strength and the consumer can adjust the position of the Tailgater if needed. The Tailgater is priced at $350 with the additional 211k HD Solo receiver adding another $149.99 to the total. Current subscribers to Dish Network can opt into a monthly option for activating the box, only requiring a $7 monthly charge when the box is active. For instance, if a NFL fan only wants to use the box during the season, they can leave it deactivated for the remainder of the year and save about $40. Dish Network’s portable satellite antenna is also competitvely priced compared to alternatives from VuCube, Sea-King and Wineguard. For instance, models of the Vucube recreational vehicle satellite TV antenna start around $600 and the Wineguard antennas start around $900. However, both of these models are compatible with other satellite TV providers such as DirecTV and Bell.